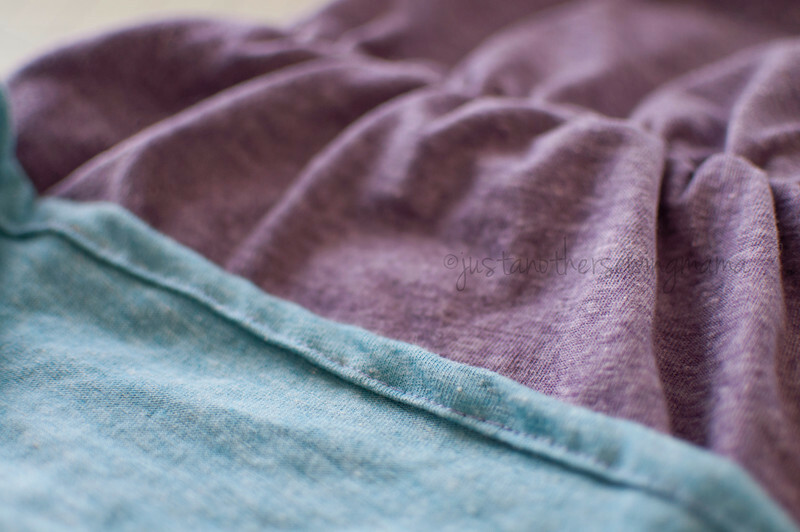 Guest Post- Color Blocking Tutorial | Everything Your Mama Made & More! ← Bundle UP sale is LIVE! 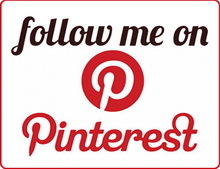 April 26- May 2nd only! I love seeing what customers and testers do with my patterns. When I saw Emily of Just Another Sewing Mama‘s take on my new California Dress & Peplum I invited her to come over & guest post a tutorial for it! This is quick, easy and has a great visual effect even with solid colored knits which are easier to get a hold of. The California pattern is an exclusive in the Pattern Revolution BundleUP build your own bundle the first week, after that it will be available in the EYMM shop. First I gotta say, don’t you just LOVE all these wonderful patterns Kymy has made for us?? 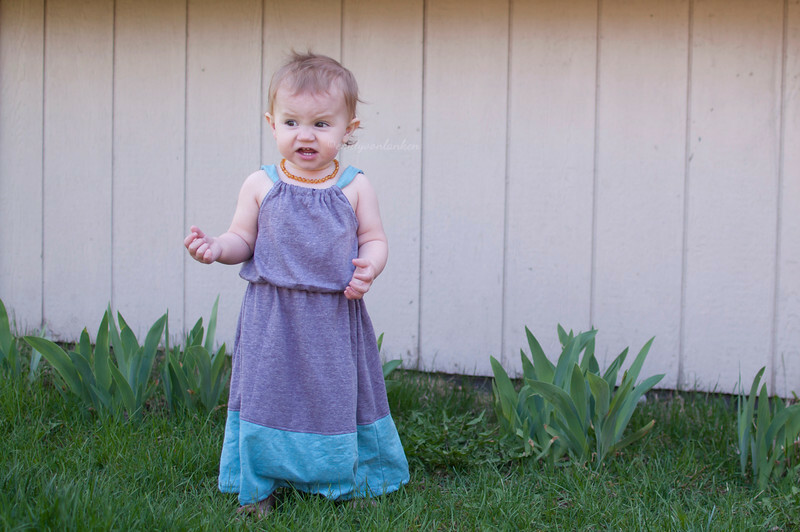 She just released her newest pattern, the California Maxi Dress. I was lucky enough to be able to test this awesome pattern! 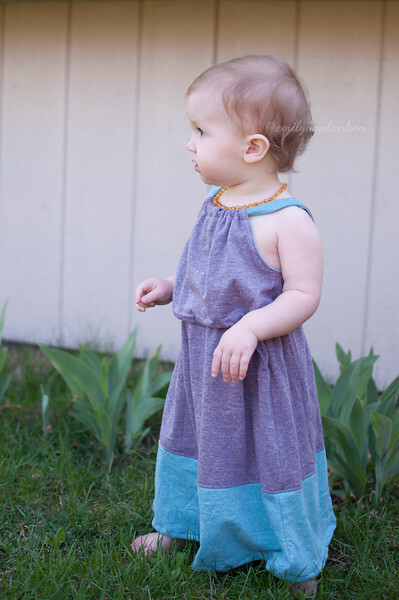 It comes with so many great options and is the only dress pattern you will need for this summer. 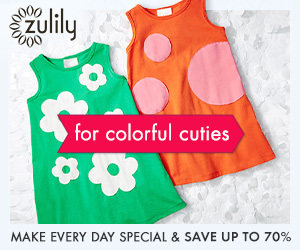 It comes with 4 length options (peplum, knee, maxi, and hi-low maxi) and even better, the neckline is reversible! I decided on the knee length (and had already cut it out) when I started seeing all the other testers with their adorable maxi length dresses. I used a contrasting color for my binding and neck strap and thought hmmm I wonder if I could just make it color block! So here’s a fun tutorial on how I made my knee length into a color block maxi! Then you will cut out knee to maxi section of your size adding in .75in to the bottom length. Lucky for me I just cut on the next size up maxi length as it was right around the right amount! The photo below shows what mine looked like. You can push the pattern back together and it would make the maxi length plus the extra. Cut out the dress as normal. 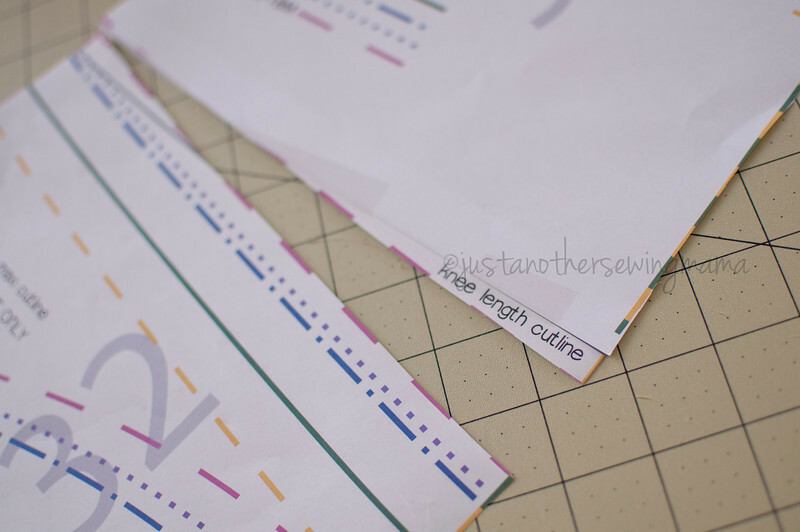 When you get to the color block section cut on the fold (same as the dress) x2. At this point you should now have a complete dress with a raw bottom edge. We are going to take our two color block pieces and put them right sides together. 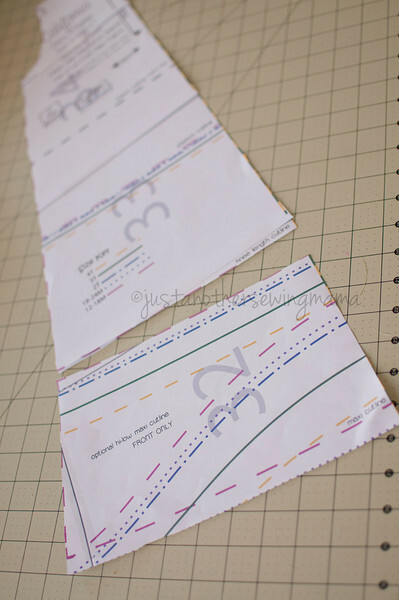 sew up the two short sides using a 3/8 seam allowance / stretch stitch. Lay your dress flat. We will now line the color block raw edge up with the dress raw edge, right sides together, seams lined up. 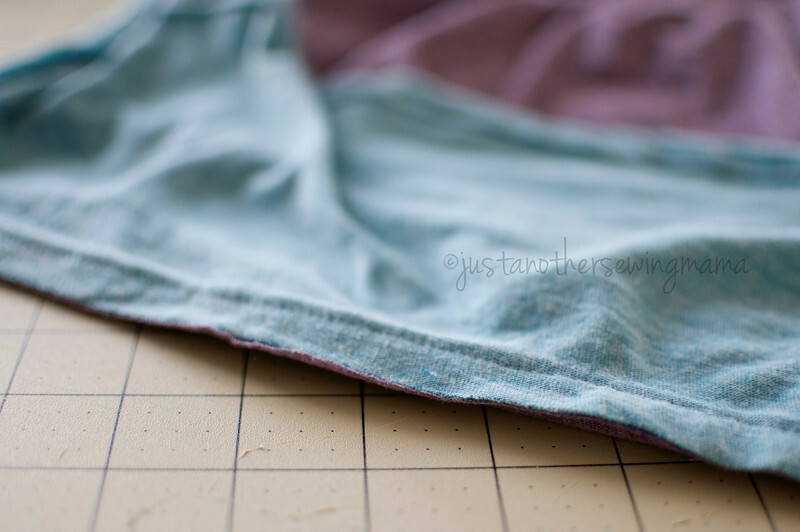 Sew all the way around with a 3/8 seam. 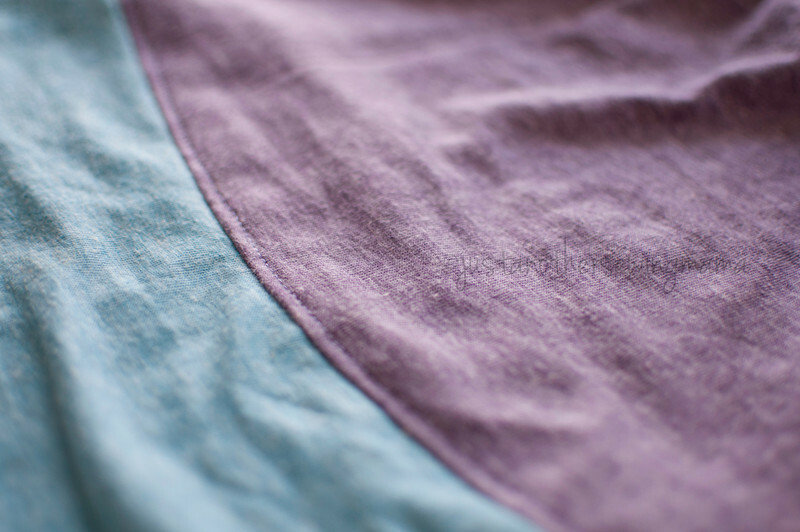 Flip the color block down and top stitch your seam. And there you have it! 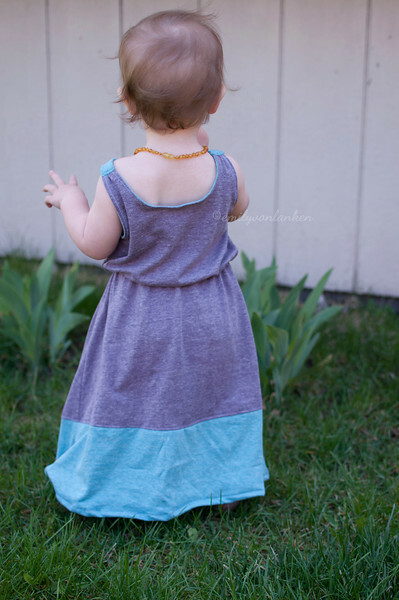 A color block maxi dress that will be all the rave at the next play date! This entry was posted in Everything Else and tagged .pdf, .pdf pattern, asymmetrical, blouse, clothing, color blocking, cotton, custom, dolman, drape, dress, easy, fabric, fall, guest post, hi-low, knit, maternity, maxi, misses, modern, pattern, peplum, petite, plus size, project, quick, reversible, sew, Sewing, shirt, split sleeve, spring, summer, t-shirt, tall, top, trendy, tunic, tutorial, womens. Bookmark the permalink.